While an amazing number of Madison-era doors had survived, all of the Madison-era locks, bolts and handles were missing at the start of the Restoration. Because door hardware is often critical to understanding the social importance and function of rooms in the 18th and early 19th centuries, the Restoration Team placed a high priority on recapturing as much information on the early locks as possible. 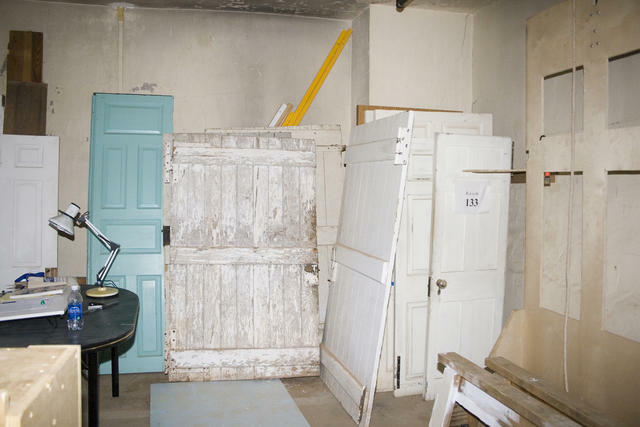 A selection of the 37 original Madison-era doors found at Montpelier during the Restoration.